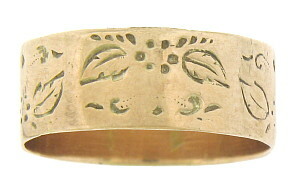 Lovely antique 10K rose gold wedding band. The surface of the wide band is softly faceted and engraved with organic figures. 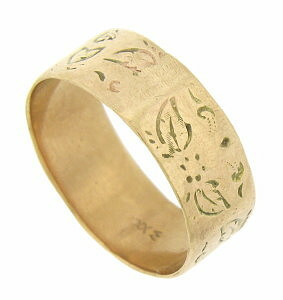 The Victorian wedding ring measures 5.99 mm in width. Circa: 1900. Size 3 3/4.